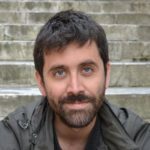 Pablo Aragón is a researcher at the Artificial Intelligence and Machine Learning group in Universitat Pompeu Fabra and Eurecat, Centre Tecnològic de Catalunya. His recent research focuses on the effects of digital platforms in citizen participatory processes. 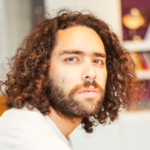 Pablo is a team member of Decidim, the platform for participatory democracy launched by Barcelona City Council, and co-founder of the Laboratory for Democratic Innovation of Barcelona and the DatAnalysis15M research network. 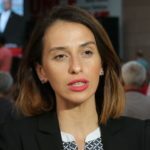 Marta Ardashelia has over 12 years of experience in TV journalism covering Georgian foreign affairs, relations with US and Russia and the situation in South Caucasus region. 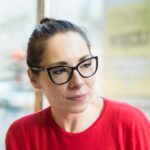 Marta is a founder and editor-in-chief of the only independent Russian language online magazine in Georgia – Sova News. By producing balanced content and speaking loudly about fake news phenomenon, the outlet focuses on increasing media literacy among their audience, highly targeted by Russian propaganda. Poonam is a tri-sector brand and communications impact leader with over a decade of transnational negotiation experience. She's helmed growth and transformation roles in banking, fintech, edutech, to championing national talent retention policy efforts in strategic government linked agencies. With a background of working for Clinton Foundation affiliates, her forte is the design of value-driven brand legacy strategies that will stand the test of economic cycles while remaining respective of ecological ceilings. 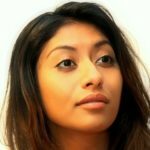 A diehard advocate of cross-sectoral and cross-field learning through contextual intelligence, Poonam now co-leads the global rebranding effort of Luftdaten to scale air quality awareness and many more open source citizen science efforts that are redefining our future. 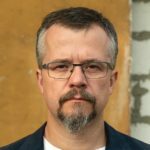 Imants Breidaks is a CEO of ManaBalss.lv - a platform of initiatives where every citizen of Latvia can put their ideas and collect signatures to be transferred to the Latvian Parliament. Creative spirit with an education in history. Has a significant experience of leading various educational and management consulting projects. Passionate about building a stronger democracy in Europe and rest of the world, Imants is always looking for new opportunities to share the story and transfer ManaBalss.lv successful experience to the places where strong civil society is most needed. Co-founder and CPO at Beit.tech, developing quantum algorithms designed to solve NP-complete problems. 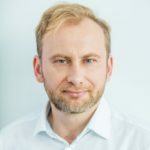 Partner at Bitspiration Booster VC, Angel Investor, Advisor and Board Member for several startups including Egzotech, Azimo, Airly and others. 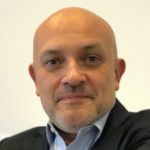 Previously, Chief Technology Officer at Grupa Allegro, Marketplace division. Run development of mSOA architecture, focusing on Mobile and Big Data. 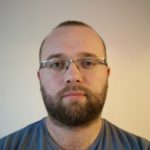 Moved to Allegro from Google R&D Center in Krakow, which he set and run as the Site Lead and Engineering Director since 2006. Prior to Google, Wojtek worked in a number of roles at Motorola. 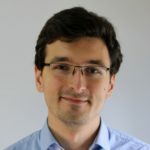 Earlier in his career, he was an Assistant Professor of Computer Science at AGH in Kraków and a researcher at Institute of Nuclear Physics, DESY and CERN. Wojtek has a PhD in Physics from the Jagiellonian University. Geographer. Public officer at the Municipality of Bologna. She has been working in the Environmental Department – Energy and Sustainability Office since 2012. She took part in European projects dealing with ICT technologies for urban sustainability and climate change adaptation. She is contact person for air quality monitoring in urban area and air quality impact assessment in urban planning. Activist since high school. When he was 17 he founded one of the first grass-roots organizations in BiH, Revolt Youth Movement Tuzla. 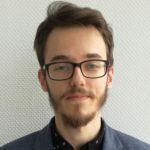 Since joining Why not in 2013. he works as a researcher for Istinomjer, and since 2015. he coordinates and leads javnarasprava.ba, a web app which enables direct communication between MPs and citizens and enables citizens to influence the legislative process. He is interested in new technologies and new ways to increase political participation, transparency and accountability, but also to solve everyday problems of citizens using technology. 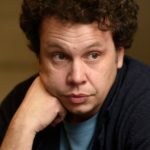 Christian Davies is a foreign correspondent based in Warsaw for the Guardian and Observer. 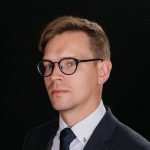 He has written for the New Statesman, Foreign Policy, Politico Europe, and Tablet Magazine, and he is a columnist for the Polish newspaper Gazeta Wyborcza. In 2018, he received a commendation from the judges of the World Justice Project’s Anthony Lewis Prize for Exceptional Rule of Law Journalism for his reporting on the ongoing threat to judicial independence in Poland. Stefan lives in Sofia, Bulgaria, where he is born and raised. His education background is journalism. Right after the fall of the Iron Curtain, Stefan joins and runs his own projects in the new Bulgarian free media. Since 1990, he is working at his family’s logistics company, where he develops its mobility business and logistics for the NATO military. 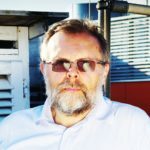 Due to huge lack of transparency and information on the air pollution in Bulgaria, February 2017 Stefan establishes, and since then runs AirBG.Info - a spin-off of the Stuttgart Luftdaten movement. In just a few weeks, this citizen science project puts the issue at the top of the society’s agenda and AirBG.info becomes a disruptor to the BG authorities. The project now has more than 1000 volunteers across the country. 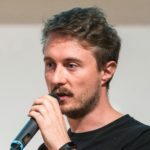 In 2018 Stefan joins the worldwide project Luftdaten project and works on the topics of Global Coverage and Engagement. He is the leader / member of the management boards of NGOs working on the topics of logistics and security. Stefan is married to Daniela and has two daughters- Alexandra and Rossitza. Gergely is a journalist, with over 20 years of experience, currently working as an independent media expert. In recent years he was the editor in chief of Index.hu, the most influential and biggest independent online news site in Hungary. 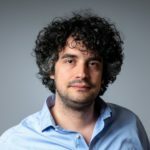 After his resignation in 2017 – which followed a change in the ownership structure of Index –, he started a crowdfunding campaign for a new, subscription-based independent news site focused exclusively on politics, but the project did not reach the one million euros it was aiming for. Ewa Drygalska earned her Ph.D. with Film Studies and Interdisciplinary Ph.D. Program Society-Environment-Technology at Jagiellonian University in Krakow, Poland. She studied at the University of California in Los Angeles as a Fulbright Fellow and spent significant time at various American universities. She worked for the National Museum in Warsaw and The Fryderyk Chopin Museum in Warsaw. Currently teaches at Polish-Japanese Academy of Information Technology and is part of Radicalzz Studio. 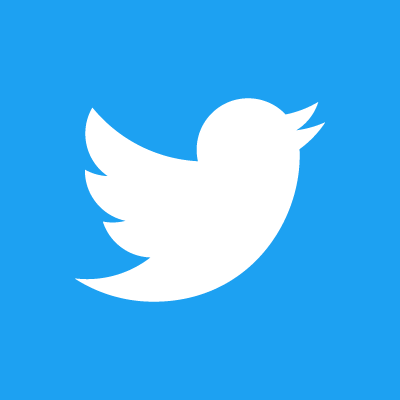 Policy Analyst at the Joint Research Centre, the European Commission's science and knowledge service, focusing on hybrid threats, radicalization and disinformation. He previously worked for more than ten years in leading international organizations (UNITED NATIONS, NATO,…) in political and electoral advisory, crisis response, and field operations along the major migration routes in West Africa. Passionate about technological innovation and citizens' engagement through the combination of capacity building on policy analysis, advocacy, media strategy and public education. Sociologist, or rather a social behavior enthusiast. The originator of the Institute of Discourse and Dialogue. His aim is to repair the public debate in Poland. Coordinator of many social, scientific and commercial projects. In the past, a PhD student at the Institute of Sociology of the Nicolaus Copernicus University in Toruń. Author of scientific and popular science publications. Has been present at the third sector since 2012. He was, inter alia, the director of the program "Citizens' Monitoring of Courts" in the Court Watch Polish Foundation, the creator of social innovations, the originator of board games and on-line applications. 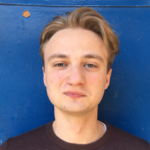 Viktor coordinates the development of user-friendly IT services for cities and amalgamated communities in Ukrainian civic tech NGO SocialBoost. His most famous e-democracy case is Participatory Budget Platform , SaaS solution for municipalities, that makes participatory budgeting transparent for 80+ cities and communities in Ukraine. It now has over two million yearly users and 5000 citizen-generated projects. To date the platform has been used to fund 500+ citizens’ projects from municipal budgets. 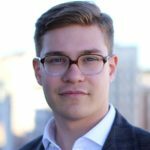 As a part of his duties at SocialBoost Viktor also works on DOSVIT, the platform that lets communities and small cities roll out all-in-one web portals , showcasing their investment potential and providing citizens with essential municipal apps. Victor is a co-founder of 1991 Open Data Incubator and a partner at Civic Tech Center located in Kyiv. Jarosław is a Law and Administration graduate and a judge in the District Court Katowice-Zachód (President until April 30, 2017). 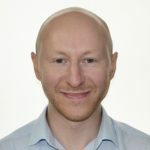 He publishes in legal periodicals, he is a lecturer at the Law and Administration Department of Silesia University and at the University of Social Sciences and Humaniteis in Warsaw (SWPS). Jarosław received the main award in the first edition of the "Civic Judge of the Year 2015" by Court Watch Polska. Co-creator of "TEDx Lex" in Katowice. Leadership Academy for Poland 2017 graduate. Retired urban partizan and persistent patriot of the quarter, enthusiast of micro cooperatives and social innovations. Speaks English, German, Czech and Silesian. Compulsory consumer of mass and high culture. Bass player and lead vocals in the worst group in the world "The Judges". His dream: to write a book about justice administration in the air of Filip Springer's "13 floors". Tamar is a Local Government Program Coordinator at NDI Georgia. 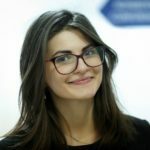 She works with local governments, CSOs, and media outlets in five municipalities across Georgia on building multi-stakeholder decision-making process. Besides her work at NDI, Tamar is a researcher for OGP assessing the implementation of Georgia’s National Action Plan. 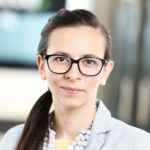 Since 2012, Tamar has actively worked on anti-corruption measures at Transparency International Georgia and GIZ in Bonn, Germany. 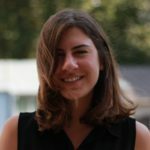 Tamar holds a BA in Political Science and Philosophy from Clark University and MPA from Tbilisi State University. Marie Heřmanová is a researcher, journalist and activist. 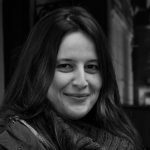 She holds a PhD in social anthropology from Charles University in Prague and both her research and journalistic work focus on the issues of migration, refugees, urban anthropology and gender. 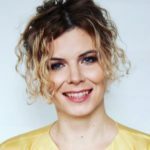 Besides her academic work, she cooperates with different NGOs and institutions as media and campaigning consultant and publishes in various Czech and international media. She is a member of the Studio of applied anthropological research Anthropictures. Researcher and co-founder of the Instrat Foundation, where he is responsible for energy transition and transport, economics of taxation and inequalities. He advises other NGOs on public policy and implementing financial and economic aspects of energy and environmental economics in decarbonization campaigns. Graduate of SGH Warsaw School of Economics, currently at University of St. Gallen in Switzerland and University of Cologne. Alexander studied mathematics at Moscow State University. Worked more than15 years in Russian ISPs being responsible for setting inter-operator relations and communication to law enforcement agencies. 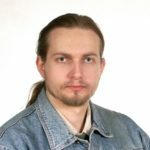 Alexander works with Internet rights protection organizations RosKomSvoboda and Internet Protection Society, conducting technical researches and heading international cooperation. Iwan coordinates Digital Peace Talks, an open source project looking to integrate citizen voices worldwide into political discussions and making democratic progress in discourse visible by combining visualization tools, machine learning algorithms and acceptance based communication rules. He formerly co-founded +3 Magazin in der Süddeutschen Zeitung, a national news magazine practicing citizen journalism. +3 Magazin was awarded a European Newspaper Award 2012 (Innovation) and 2013 (Best supplement) and the Coburger Medienpreis 2013 (Best new creation). Lucia deals with the topic of hate speech as voluntary member of moderator´s team of initiative #somtu in Slovakia, which is part of initiative #iamhere. Matthew Kasper studied German Language and Literature at Fordham University before moving to Turkey to teach English as a foreign language. This stint was followed by an M.A. in Social Sciences between Middle East Technical University and Humboldt University, where he concentrated on Turkish society and politics with a specific focus on citizenship, transnationalism and cosmopolitanism. 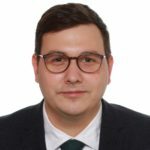 A regular contributor and editor of the German- Turkish art and culture magazine renk., Kasper joined the Meydan TV team in 2018 as Project Manager. German-Polish manager of culture, editor, publicist, and political scientist. He grew up in Poland, Iraq and West Germany. He studied political science and Slavic studies at the Freie Universität Berlin. He is the director of the European Solidarity Centre in Gdansk and since 1998 an editor-in-chief of the bilingual Polish-German journal DIALOG, and a contributor to Przeglad Polityczny [Political Review]. Mr Kerski worked as an expert in international politics for the Aspen Institute Berlin, the German Council on Foreign Relations (DGAP), the Social Science Research Centre (WZB) in Berlin, and the Bundestag. He is an author of more than twenty German, Polish and Ukrainian books analysing history and politics. Many of his articles were published in magazines and newspapers, among others: Die Welt, Neue Zürcher Zeitung, Süddeutsche Zeitung, Der Tagesspiegel, Berliner Zeitung, Internationale Politik, Limes, New Eastern Europe, Gazeta Wyborcza, Rzeczpospolita, Tygodnik Powszechny. In 2001–2005 he was a lecturer in Otto Suhr Institute of Political Science at the Freie Universität Berlin, in 2011 in Institute of History at Humboldt University Berlin. During his academic carrier he was a guest of many prestigious universities in Europe and USA, e.g. Sorbonne, Georgetown University in Washington, Columbia University in New York. Member of the Polish PEN Club. Mr Kerski received many awards and distinctions: The Gold Cross of Merit of the Republic of Poland, Knight of the Order of the Lion of Finland, the Silver Medal for Merit to Culture – Gloria Artis. Father of two sons, lives in Gdańsk and Berlin. 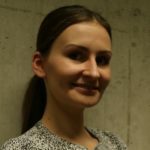 Ieva joined Transparency International Lithuania in 2017. She is working on a number of different youth integrity and civic engagement initiatives. Ieva is also managing day-to-day activities of the Transparency International School on Integrity 2019, an annual training on anti-corruption and accountability for youth leaders (more: www.transparencyschool.org). Ieva gained practical experience during volunteer work and internships in public and non-governmental sectors. She holds political science Bachelor‘s degree from Vilnius University. Katarína Klingová is a Senior Research Fellow of the Strategic Communication Programme at GLOBSEC. Katarína Klingová is a senior research fellow at the GLOBSEC Policy Institute in Bratislava. 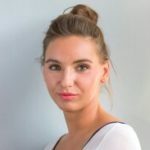 As a member of GLOBSEC’s Strategic Communication program, she has been monitoring disinformation and strategic communication in Central Europe since 2016. 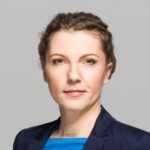 Prior to joining GLOBSEC, Ms. Klingová worked as a researcher and project coordinator at Transparency International Slovakia. Ms. Klingová has authored or co-authored numerous scholarly analyses on foreign disinformation and subversion in Central Europe, including Slovak Republic Hybrid Threats Vulnerability Study, Vulnerability Index: Subversive Russian Influence in Central Europe and Countering Information Warfare – Lessons Learned from NATO Members and Partner Countries. She earned her master’s degree from Central European University in Budapest. 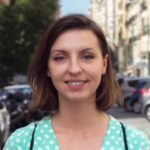 Stefania Koskova is a Mozilla Fellow focusing on developing collaborative solutions and effective policy responses to harmful online content. In her previous roles, Stefania assisted policymakers and communities in the Western Balkans with the design and implementation of strategic responses to hate, extremist radicalization and violence. In 2017, Stefania helped launch the Resonant Voices Initiative, networking journalists, activists, and community leaders who challenge dangerous messages online, such as hate speech, terrorist propaganda, and disinformation. Analyst, vice-president, and co-founder of Center for Propaganda and Disinformation Analysis Foundation. From 2015-2017, she was an expert in the Casimir Pulaski Foundation. 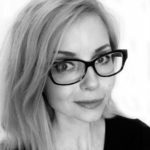 From 2012-2015, she was a doctoral candidate at the Faculty of Political Science, Lomonosov Moscow State University, where she pursued research on the political decision process in contemporary Russia. Her main areas of interest include Russian foreign and security policy, international security, Russia-NATO relations, propaganda and disinformation, information and psychological warfare, strategic communication, information security, and conflict management. Coach, educator and facilitator supporting activists and non profit organizations in management, innovation and change with the "Human not Robots" perspective. Founder of "The Radical Act of Self-Care", a community against activists' burnout. Media and election expert with over 21 years of international experience. Since 1998, he has been the Executive Director of MEMO 98, a proficient media institution with extensive experience of delivering media monitoring on behalf of international institutions as well as technical assistance to civil-society groups. 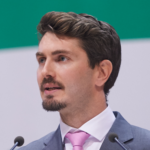 Rasťo has worked as media and election analyst, consultant, and trainer, participating in some 30 OSCE/ODIHR election observation missions, most recently in Italy, the Netherlands and Iceland. 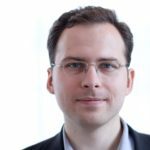 Sandor Lederer is the co-founder and director of K-Monitor, a non-profit public funds watchdog based in Budapest, Hungary. K-Monitor was founded to improve the levels of transparency, accountability and the rule of law in Hungary. Civic participation and technology driven solutions are among the organizations key instruments. Beside K-Monitor’s tech focus, the organization is also active in anti-corruption advocacy and research. Sandor was contributing to the European Commission’s Anti-corruption Report as the Local Research Country Correspondent for Hungary. 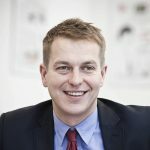 He is a European Young Leader at Friends of Europe, a GMF alumni and an Obama Fellow. Jan Lipavský focuses primarily on security and foreign policy. He is also a vice chair of the parliamentary committee on defence and committee on foreign affairs. Among his areas of interests belong digitalization and cyber security, countering hostile propaganda and disinformation, screening of foreign investments, foreign missions and the EU Eastern Neighbourhood initiative. Among others, he is working on implementation of a law protecting the strategic sectors of the Czech economy from the loss of sensitive data and knowhow. He also oversees the activities of Czech intelligence services and defends their independence. He studied international relations at the Charles University in Prague and at the University of Kent in the UK. Prior to entering politics, he developed a career in the private sector in managerial positions in the field of information technology in banking and marketing. He is a member of the Pirate Party since 2015. In the autumn of 2017 was elected as the member of House of Commons of the Parliament of the Czech Republic from the Prague district. Bottom-up, top-down, local and European. In cities, disadvantaged communities and placemaking networks. With public authorities, NGOs, universities, experts and citizens. 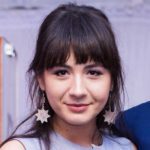 Andreea – a young urban planner - explores strategic planning, social development and the perks of governance in every way. She believes that building trust between citizens and governance is still possible, but anarchist at heart, she is always questioning the structures in place. She hopes that interactive governance will replace outdated structures one day and made her bet on technology and innovation. In numbers: 4 working years, over 10 development strategies, 4 Interreg projects, 2 studies on European territory, countless meetings with citizens on all of the above. 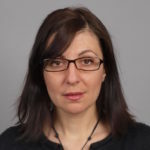 Milda Mataciunaite-Boyce is a Director of Operations at the Center for European Policy Analysis (CEPA). She is responsible for project management, development, operations, and financial compliance. 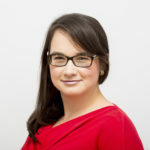 Milda holds a Bachelor’s degree in Political Science and a Minor in Russian language from the University of Tennessee with a focus on International Relations. She studied communications and information science in Vilnius University, Lithuania. 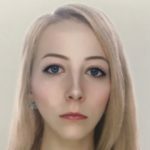 Previously, she worked at the Embassy of the Republic of Lithuania in Washington, D.C. She speaks fluent Lithuanian, Russian and is proficient in French. Johnny Miller is a photographer, journalist, and founder of africanDRONE – a pan-African citizen journalist organization. He is based in Cape Town, South Africa, and has extensive networks and knowledge of contemporary African and world issues. He has received worldwide acclaim for his project “Unequal Scenes”, an exploration of inequality around the world using a drone. He is currently working on establishing africanDRONE as an organization, producing content for major international news organizations, and developing new and socially aware storytelling methodologies. Johnny is currently an Atlantic Fellow for Social and Economic Equity at the London School of Economics, and a News Fellow at Code For Africa. Marek Miller has been working in the media and journalism field for almost 15 years. 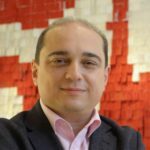 For a large part of this time he worked for one of the largest regional publishers in Poland (Polska Press Group), and therefore had a chance to witness Polish newspapers’ digital transformation process from the inside from the very beginning. For many years he’s been cooperating with the Dallas-based media organisation INMA (International News Media Association). 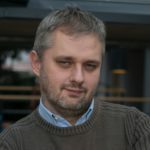 He worked for Poland’s audit bureau of circulation (ZKDP) where he organised conferences and workshops for journalists, and was the editor-in-chief of a media industry website Prasa.info (not existing now) that was aspiring to be the leading information source for Polish journalists about the media market. He cooperated with Poland’s leading publisher Agora (Gazeta Wyborcza) in organising a number of journalists orientated events in Warsaw. As a media journalist he contributes for the leading media industry magazine in Poland “Press”. In 2017 he was a Coaching and Leadership Fellow at the Poynter’s Institute in Florida. Privately he is a loving father of two daughters, and a huge fan of technology, media, and journalism. Lukas Mocek focuses on the international growth of the air quality sensor network luftdaten.info, its links to other sensor networks, clean air initiatives, communities and state institutions. He leads the coordination in terms of international exchange and combined efforts of these partners. 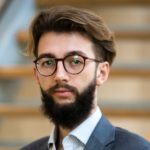 He add his knowledge from the background as a mechatronic (BOSCH), Production- & Supply Chain Engineer at European School of Business (ESB) and Blockchain community organizer at PositiveBlockchain.io. Sergejus is a transparency lobbyist and a fan of good examples. 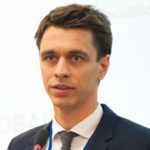 For the past decade Sergejus has been at the forefront of Transparency International Lithuania and the Transparency School, an anti-corruption happening for young professionals with more than 1000 alumni worldwide. He has also served on the Board of Directors of Transparency International and advised numerious other institutions. Sergejus loves teaching Corporate Governance and Anti-corruption to students at the ISM University of Management and Economics. Project management and communications professional specialising in good governance, audience research and media development in fragile and conflict-affected areas. He worked in projects in Ukraine, Moldova, Belarus as well as the Baltic States supported by international donor agencies, such as the U.S. State Department, American Councils and the UK Foreign and Commonwealth Office. 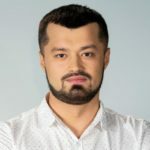 Previously, Oleg was a member of strategic communications team at the Administration of the President of Ukraine, coordinating government efforts in strategic messaging, inter-agency coordination and improving media outreach related to the ongoing military conflict in eastern Ukraine. Oleg is currently consulting on complex research and media development programmes that seek to provide a nuanced understanding of the region for host governments and international donors. Irina Nedeva is a Chairwoman of Association of European Journalists - Bulgaria and Special Representative for AEJ (International); journalist and documentary filmmaker with extensive experience in public broadcast journalism and many awards like: Nomination for Prix Europa, Berlin 2014; Hubert Humphrey Fellowship in USA 2011-2012; The Milena Jesenská Fellowship, IWM, Vienna, Austria, 2010. 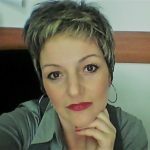 She is a senior editor and host with the main informational channel “Horizon” at the Bulgarian National Public Radio. As a strong believer in the social importance of the critical thinking and open public debate she is involved with the first independent Center for Culture and debates “The Red House” since the founding in 2000 till today. 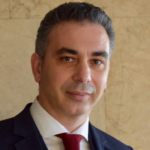 Ilias Nikezis is a Public Affairs and Strategic Communications practitioner. Additionally to education focused in Public Affairs and Strategic Communications, he holds a Master of Arts in Digital Media, Communication and Journalism, specialized in risk communication and crisis journalism, by the School of Journalism and Mass Communication of AUTH. He is a PhD candidate on the field of media, war and conflict and he is a senior member of the International and Peace Journalism Laboratory (IPJL). His field of research interest lies in interdisciplinary themes such as Strategic Communication and Public Relations, War Reporting, Tackling Disinformation, Informational Resilience, Peace Journalism, Media Role in Crisis Management, Media Literacy, Diversity and the Media. Lawyer, trainer, activist, project coordinator. He used to be Editor-in-chief of the Demagog.org.pl and CEO of the Demagog Association, also used to coordinate the Fact-Checking Academy. Currently coordinator of educational projects in Centrum Solidarności Foundation and expert in the field of fake news in INDID Foundation. Leading expert in corporate finance and fund management. 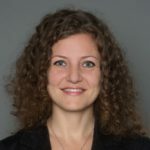 Having previously worked in consulting, in 2016 she became an advisor to the Minister of Economic Development. 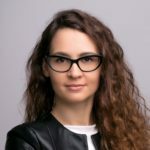 Responsible for management of the State's innovative projects portfolio, she spearheaded the MinFinTech programme as well as the creation of the Lektury.gov.pl portal. In 2017 (CZY 2018?) appointed an Advisor to the Prime Minister on Innovation Policy and Finance. Since the Programme's establishment in April 2018, serving as Head of the GovTech Poland Programme - Poland's largest initiative aimed at bringing the digital revolution to the Public Sector. Zuzana is the Resident Director for NDI in Poland and legislative consultant. 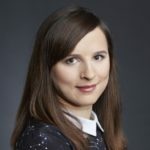 Zuzana manages multiple NDI projects implemented in Poland and the CEE region and has primary responsibility for the implementation of the Central Europe Democracy Initiate (CEDI). The Initiative's goal is to enable political actors to engage with each other and with experts from outside of the region on efforts to reinvigorate mainstream, democratic politics. A long-time NDI staff member, Ms. Papazoski oversees as well the NDI's Western Balkans Legislative Strengthening program, a multi-year effort to strengthen the lawmaking and oversight functions of the Western Balkans parliaments, promoting transparency and accountability in national policymaking. Ms.Papazoski has demonstrated regional expertise through her work as a trainer, election monitor and legislative consultant in the Western Balkans, Central Europe and Eurasia and was a co-founder, legal advisor and board member of Civic Eye/Obcianske Oko, a Bratislava-based domestic election monitoring and civic advocacy organization. Bartosz studies finance at the University of Warsaw. He has been engaged in Demagog’s (first Polish fact-checking organisation) activities for the last 3 years. He started doing fact-checking of economic and international opinions. Later he became one of the first mentors and developed the Fact-Checking Academy in schools, teacher’s environment and among local activists. 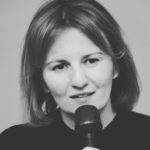 M.A., Liljana Pecova -Ilieska, CEO of IMPETUS - Center for Internet, Development and Good Governance, and ACTION SEE project coordinator within Metamorphosis organization, specific address on good governance issues, transparency, accountability and openness of the institutions. Previous 10 years’ experience in law enforcement within the Ministry of Interior, followed by a 4 years advisory position and data protection expertise at the Data Protection Agency, whereas was part of the National Expert Working Group of the inter-sector Body for Human Rights Protection. Author of several research papers in data protection and media monitoring. Data protection expertise in social media, public relations and marketing. Expertise in strategy documents/plans preparation. Certified trainer for adults for the areas of competence. Special contribution on long term training the target groups in Education sector on data protection, safer internet for kids. Part of the privacy protection community with special focus on security sector and surveillance. 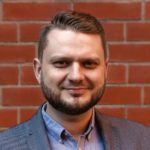 Community member of SEEDIG – Euro Dig – Sub regional and Regional Internet Governance Forum (IGF) Initiative’s, also one of the Founders of IGF initiative in Macedonia. Panelist of more national and international conferences and Council of Europe’ s activist for No hate speech Campaign. 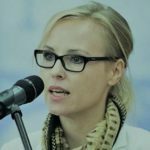 In 2015-2018 she directed the Estonian Cooperation Assembly, a competence centre founded in 2007 by the President of Estonia, working on policy recommendations and initiatives on societal issues, like e-democracy, pension system reform, public sector reform. The Cooperation Assembly also issues Estonian Human Development Reports. 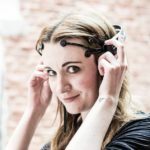 Since 2016 she has been leading online and offline advocacy efforts to build a critical mass of users for the citizens initiatives platform known as rahvaalgatus.ee. The participation platform is the direct result from the Estonian Open Government Partnership action plan 2014-2016, serving as the digital infrastructure for the citizen right to collectively address the Parliament of Estonia. 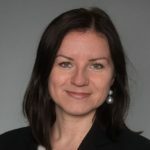 Teele often advises the public sector, political parties and civic organizations in Estonia and beyond on co-creation, open governance and systemic change. 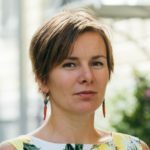 Teele is an urbanist and directed the urban issues think-and-do-tank Estonian Urban Lab from 2010 to 2015. She is behind many seaside public space projects in Tallinn, like creating the beta-promenade, reviving the Kalarand beach, and drafting the happy seaside vision, organising the call for ideas for Tallinn central seaside. Teele has been listed as the New Europe 100 nominee of Eastern and Central Europe innovators (nominated by Google, Financial Times, Res Publica and Visegrad Fund in 2014); awarded as the person of the year with a mission (nominated by Estonian non-government organisations in 2016) and for the societal work with public space in Tallinn (Estonian Architecture Annual Awards in 2016). Vasyl has been working in journalism for over six years. He used to be a reporter, an editor, a sports commentator. Currently a presenter and journalist of the Public Television (Hromadske). Marta Poślad joined Google in 2012. 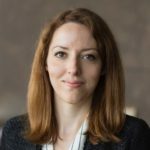 Before becoming the Head of Public Policy & Government Relations in Central and Eastern Europe Marta was responsible for privacy & security policy in EMEA, as well as analyzing impact of new technologies on societies and democracies on the academic front. She is a Humanity in Action Senior Fellow, Aspen Institute Young Leader and an alumni of Helsinki Foundation for Human Rights’ Programme. A graduate of sociology at the University of Cambridge and political science at the University of Warsaw. Afërdita Pustina works as a National Programme Officer at the Organization for Security and Cooperation - OSCE Mission in Kosovo. 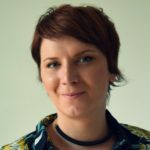 Through her work she contributes to furthering democracy in Kosovo by empowering women, youth and civil society to participate in policy and decision-making processes. Out of many activities at OSCE, she designed the concept and led the implementation the online Digital Platform for Public Participation in Kosovo (platformadigjitale.com, digitalnaplatforma.com). This innovative solution responds to an increased demand for improving transparency of government operations through a communication platform connecting residents and local government. The platform was a finalist at the Albanian ICT Awards V, at the Best Public Service category for Kosovo. She is a Stanford Certified Project Manager and holds a Master’s Degree in Strategic Project Management. Civic and social entrepreneur, technology strategist, and Founder of Civic Hall, a collaborative work, community center, and event space located in the Flatiron district of Manhattan, NYC. He is also the Co-Founder of Civic Hall Labs, which builds civic technology pilots to serve the public interest. Andrew is also the Founder of annual Personal Democracy Forum the world's largest and best known gathering focusing on the intersection of technology, politics, and government. 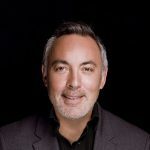 He is the Chairman off the NY Tech Alliance, a 60,000+-member organization of of New Yorkers from diverse industries working in the New York tech ecosystem who are using technology to transform themselves, New York City, and the world. He is the Founder of MOUSE.org which provides technology education in public schools in New York and many other global locations. 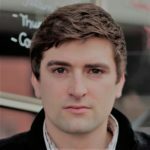 He was a founding Senior Technology Advisor to the Sunlight Foundation a Washington DC organization using technology to make government more transparent. Andrew lives and works near Union Square in New York City, and can be followed on twitter at @rasiej. 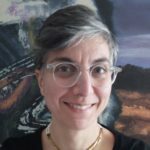 Corina Rebegea is a Fellow-in-Residence and program director at the Center for European Policy Analysis (CEPA). 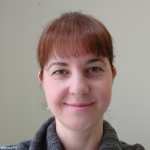 She holds an MPA degree from Syracuse University as a Fulbright scholar, an MA in Human Rights from the University of Manchester as an OSI/Chevening Fellow and a BA in Political Science from the University of Bucharest. Corina works on democracy and rule of law issues, good governance and disinformation, as well as broader issues of Black Sea security and transatlantic security cooperation. 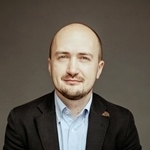 Alexey Sidorenko is Director of “Teplitsa: Technologies for Social Good”. 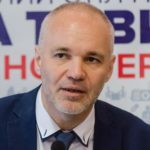 He is an active member of civil society and leads a collective of more than 20 individuals in various regions of Russia who spread knowledge about new tools for civil society organisations and social entrepreneurs. Throughout his career, Alexey has collaborated with various civic groups, think tanks, and international communities, including Carnegie Moscow Centre, Global Voices Online, Freedom House, and Reporters Without Borders. In 2010, he developed the “Help Map” project, an award-winning crowdsourcing initiative to help the victims of summer wildfires. Since 2012, he has run Teplitsa, a project to help Russian NGOs with IT and innovative ways of civic engagement. Alexey regularly presents at Personal Democracy Forum Central and Eastern Europe. He holds a Ph.D. in Geography (Moscow State University, 2010) and speaks Polish, English, and Russian. In 2017, Russian Reporter magazine included Alexey Sidorenko into the ‘Russia’s 75 most respected people’ list. Founder of Radicalzz, all-in-one studio that implements technologies to serve humans needs. 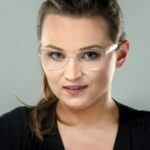 She has made her mission to accelerate the sustainability and innovation practices in the field of products, and service design and development. Technology enthusiast, but radical in underlining its human side. She believes that technology should serve people’s needs - not the opposite, and we should consider it as a tool that helps us to reshape the world around and create a better future. Gained professional experience while developing projects for Deloitte, DDB, Saatch&Saatchi and Ikea. Economy and Social Policy graduate at Poznań University of Economics and Business. Journalist of Polish daily “Gazeta Wyborcza” and “Książki. Magazyn do Czytania”. She deals with the topics of education, challenges and successes of youth. She is a co-host of cultural YouTube “Krótka Przerwa” channel. Winner of prof. Roman Czernecki’s award in journalism category (2018), also awarded for activities for the development of digital skills in Poland (2017). Human Rights lawyer, expert in law and public administration, co-founder of the institution "Advisory center on contemporary international practices and their legal implementation "Human Constanta" (Minsk, Belarus). The author of a number of national and international studies in the field of access to public sector information online, e-government and e-participation. Europe and Central Asia Programme Officer at ARTICLE 19, global freedom of expression organisation. 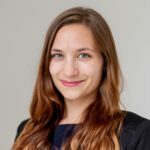 Since joining ARTICLE 19 in 2016, Joanna has worked on a number of issues related to freedom of expression and right to information across the Eurasia region – including media freedom, countering hate speech against minorities and digital rights. She has an M.A. in Russian studies from University of Gdansk and postgraduate certificate in International law from Warsaw University. Screen reader support enabled. Expert in human rights and technology, lawyer and activist. Co-founder and president of Panoptykon Foundation – Polish NGO defending human rights in surveillance society. Since 2012 vice-president of European Digital Rights. Stipendist and member of Ashoka – international network of social entrepreneurs. 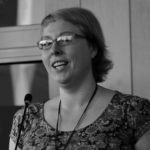 Her work exposes the invisible: data exploitation behind friendly commercial interfaces, the fallacy of free choice and political trade-offs coming with security narrative. Marek is a Deputy Editor-in-Chief „Dziennik Gazeta Prawna”. Journalist specializing in economy and international affairs. Currently leading news team in the biggest business newspaper in Poland (Dziennik Gazeta Prawna). Between 2007 and 2015 anchor and commentator for TVN CNBC and TVN 24 news broadcasters. Previously working in Polsat and Radio TOK FM where he held post of Deputy Editor-in-Chief. 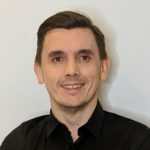 As Managing Director, Martin is responsible for Luminate’s Data & Digital Rights impact area, our work in Europe, and our policy and advocacy work. 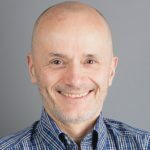 Martin brings over 15 years of investment and leadership experience to his role, including founding and co-founding two multi-stakeholder initiatives and three NGOs. Alongside the Obama White House, Martin founded the Open Government Partnership and helped it grow to a 70+ country initiative. He also initiated the International Open Data Charter, the G8 Open Data Charter, and the G20’s commitment to open data principles. Martin is the co-founder of Publish What You Fund, a global campaign for foreign aid transparency, and Integrity Watch Afghanistan, the country’s leading anti-corruption NGO. 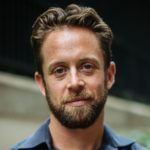 Prior to joining Luminate, Martin founded and ran the Transparency and Accountability Initiative – a donor collaborative bringing together the world’s largest open government funders. He is a board member of the Open Data Institute, and a steering committee member of the Transparency and Accountability Initiative. 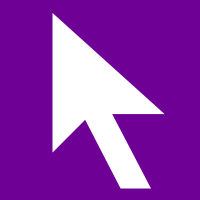 Screen reader support enabled. Peter joined OGP’s Country Support Team in July 2016. He provides guidance and assistance to civil society organisations and governments across Europe (primarily in the North Sea/Baltic Sea region), supporting the development and implementation of open government reforms. Prior to OGP, he worked with Transparency International supporting 15 national chapters across the Nordic, Baltic and Central European regions, as well as devising the movement’s global internal communications policy. Earlier, Peter had developed social enterprises and consulted on non-profit sustainability in emerging markets, also piloting the world’s first LGBT venture philanthropy fund. He also gained private sector experience working for a global marketing agency. 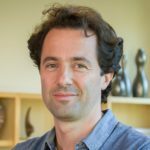 Peter was Fulbright Visiting Practitioner at Stanford University in 2011-2012, holds an MA in International Relations and European Studies from Central European University, and a BA in Political Science from Yale University. Currently based in Berlin, he is an avid reader of history books and a blessed cheesemaker. University professor at the Faculty of Political Science in Zagreb and international consultant with over 17 years of experience in supporting more enabling environment for civic participation, open policy-making and building cross-sector partnerships for social change. 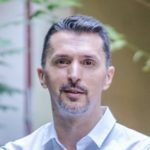 As former director of Croatian Government Office for Cooperation with NGOs for over nine years, Igor has led government efforts in transforming the practice of public consultations, improving models of social impact programs of CSOs and delivering national OGP action plan commitments. Since 2016, Igor is leading EU technical assistance projects supporting better governance and empowering civil society in SEE countries. Journalist of Polish daily “Gazeta Wyborcza”. Specializes in ecology, environment pollution, climate policy and energy transformation. For the last 4 years has been leading “Oddychać po Ludzku” (EN: Breathing Humanly) campaign and joining other social campaigns for the environment. Winner of “Architekt Rozwoju” prize awarded by United Nation Global Compact. Polish journalist and head of the Foreign Department of the Polish daily Gazeta Wyborcza. The Gazeta Wyborcza arose from the democratic opposition in 1989 and is still known for its left winged democratic character. Earlier in his career he was the foreign correspondent in Berlin. He covers German and Austrian politics, society, and modern history, as well as European and global security and development issues. His considerable professional accomplishments include interviews with leading German politicians, such as the chancellor Angela Merkel. He is also the author of the book The bad Germany, which presents the twentieth-century Germany, a world full of criminals, fanatics, crime and inventions. In 2013 he won the prestigious Grand Press Award, one of the most important prices in Polish journalism, in the category of press reportage for ‘You’re no. 71’. This reportage was about the atrocities of Austrian children who are being raised by single mothers and live under poor conditions. On top of that Bartosz Wielinski was the winner of the Amnesty International’s Pióro Nadziei Prize for his contribution to a positive change through his journalistic knowledge in respecting human rights. Member od City is ours association from Warsaw and Luftdaten activist. Engaged in many local initiatives – fighting for city parks, public infrastructure, development of public transportation and urban planning. She is also very committed to charity projects related to providing equal opportunities for all, so she is involved in charity projects. Professionally bonded to digital marketing, she is currently working in marketing automation area. 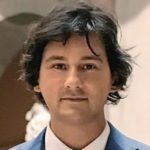 CEO and founder of Samurai Labs, a third-wave AI company which combines deep neural networks and reasoning to develop the world's most effective system to prevent online violence. Samurai protects children and online communities. 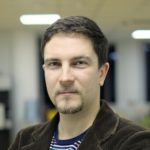 Michal is a serial entrepreneur, Samurai is the 3rd AI company he founded. He lives in SF / Gdynia. He is a Medical Doctor, cognitive behavioral therapist, mindfulness teacher and an advisor to startups. At Instrat he leads the works in the fields of innovation, automation of labor and digital economy. He had gained experience i.a. at the Polish Development Fund. He published on social and economic issues in various media, i.a. Rzeczpospolita, Nowy Obywatel, Magazyn Kontakt and WeTheCrowd. Co-editor of monography “#FutureInsights: Technologies 4.0 and socio-economic transition”, author of academic and opinion publications on economic and social issues. Graduate of the Warsaw School of Economics (SGH) and fellow of the G20 Global Solutions in 2017. He is currently writing a book on the theory of cognitive capitalism. Edit Zgut is a guest lecturer at the University of Warsaw, Centre for Europe. 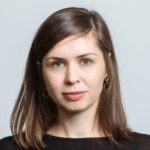 She is a PhD researcher at IFIS, in the Polish Academy of Sciences, her main field of research is illiberalism in Central Europe and the constraining role of the EU. Edit previously worked at Political Capital research and Consultancy Institute in Budapest as a foreign policy analyst. She has been also teaching International Relations at Pázmány Péter Catholic University in Hungary. Prior to joining Political Capital, she was working as a foreign policy journalist at various media outlets in Hungary. She is a political commentator frequently appearing both in the Hungarian and international media. She earned her M.A. in political science from the ELTE, and learned journalism at Bálint György Journalism Academy in Hungary.